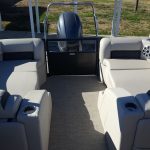 BLACKOUT!! 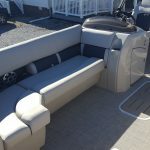 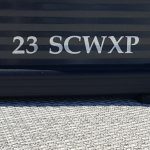 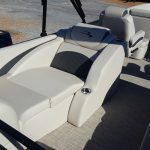 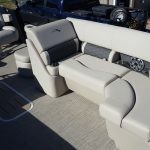 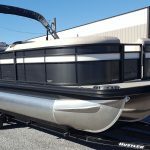 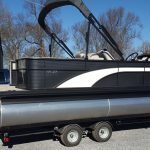 2019 Bennington 23SCWXP REAR LOUNGERS! 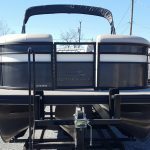 – Happy Holiday Travel, Inc. 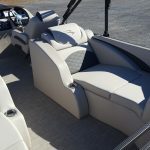 This is a BEAUTIFUL package! 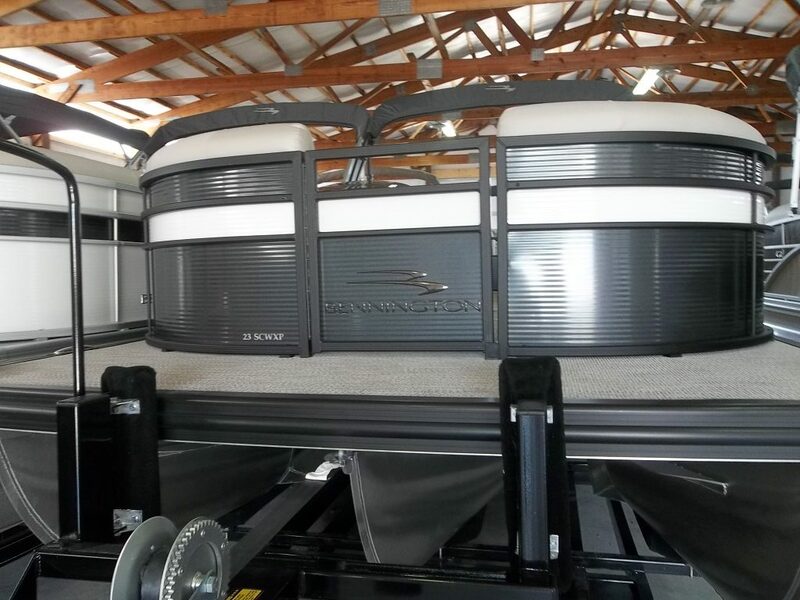 Smokey Granite and White Panels make for a great pair, especially with the Blackout Railing! 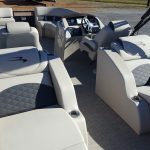 The interior accents the panel colors as well with the Sandstone interior with Carbon Accent. 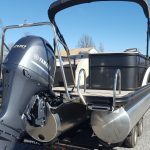 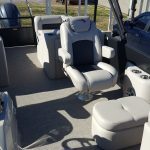 This is for sure a boat you will want to show off! 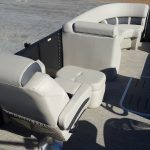 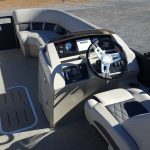 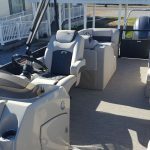 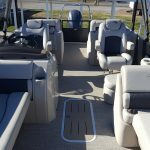 This great boat is full of upgrades, including the upgraded Kicker Stereo, Simrad GPS, Lighted Speakers, Lighted Bimini, Ottoman, Pillowtop Furniture, and more! This boat won’t last long, so get it before it’s too late! 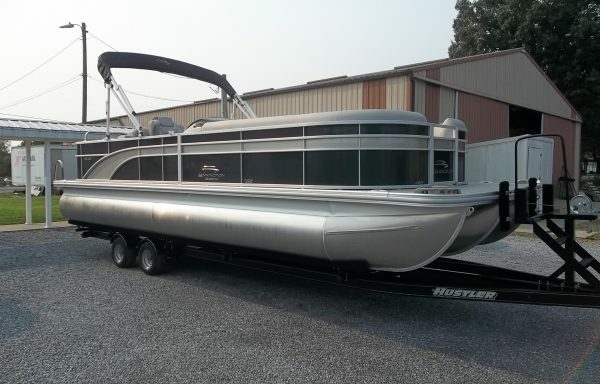 This has a 2019 Serial Number, but is still a 2018 style and price so get this before it floats away!